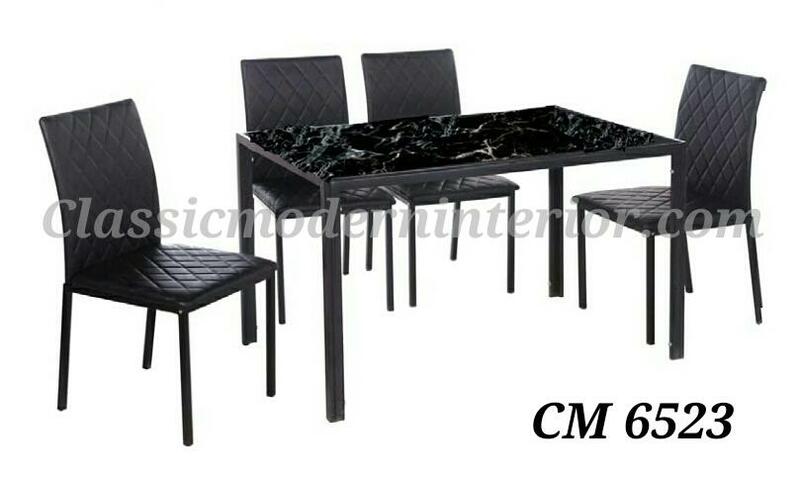 CM 6523 Dining Set 4-seater. Black Marble, Tempered Glass top. Dimension : length 47" x width 27.5" x height 29.5".